Why choose OffCanvas for your website? People are viewing your website on their phones and tablets. All our sites are responsive. 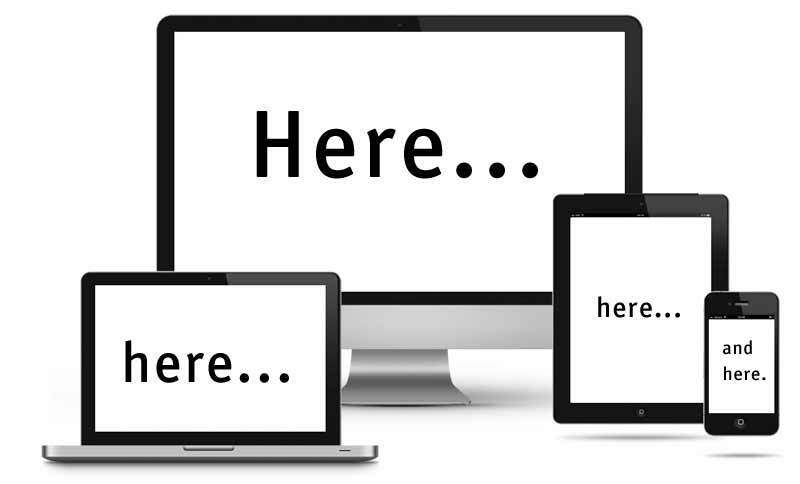 This means no matter which device your visitors are using, they can view the content on your website. Your visitor’s time is precious. OffCanvas websites are hosted on Amazon’s industry leading AWS (Amazon Web Services). It’s secure, reliable and most importantly, it’s fast. Our websites are designed to be clean and uncluttered. Your content is king and you want your visitors to understand what you're all about right away. Search engines like Google love our websites. OffCanvas websites have clean HTML markup that is easily indexable by search engines. Manage your website with the OffCanvas management console. Easily update photos, video clips, news and more yourself. All our websites are protected and secured with the industry standard SSL/TLS protocols for encrypting network communications and establishing the identity of websites over the Internet. Contact us to discuss your new website or for advice on switching your website to OffCanvas. We build and maintain websites that are beautiful to look at and a joy to read. We set up all our clients with professional email addresses to match their web address. We take care of your domain registration, renewal and management. We manage .co.za, .com, .co.uk, .org, .co, .mobi, the list goes on and on. Get more business by advertising on Google. You pay only for relevant traffic, since your ads can be limited by geography and keywords.